James initially received RIBA Part I and II qualifications from The University of Lincoln before going on to The University of Westminster to achieve his RIBA Part III qualification. Areas of interest during his studies included research into seasonal-dynamic space and the integration of traditional craft processes with contemporary design, undertaken at the Holkham estate in North Norfolk. While working with Capita Percy Thomas, James gained experience in the education sector, participating in the design and delivery of secondary schools throughout the UK as part of the the Building Schools For The Future programme. For the majority of his career James has worked within central London designing, delivering and overseeing the construction of both high end/standard residential, retail, commercial and complex mixed use schemes with contract values up to £70 million. 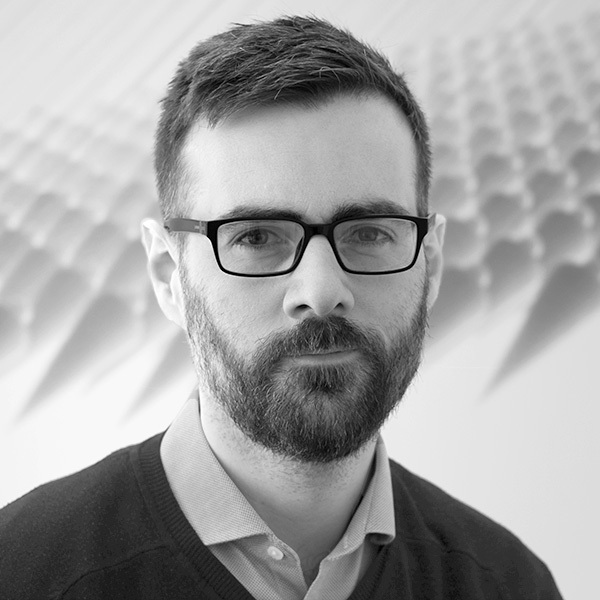 Prior to joining Design Engine his most recent experience was with Stirling Prize shortlisted practice John Robertson Architects.